On August 4th, 2015, Meridian Township will participate in the celebration of National Night Out, America’s Night Out Against Crime event. 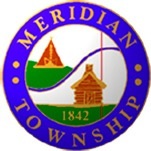 The Meridian Township Police Department will serve as the community hosts as Officers join participating neighborhoods in a variety of activities including block parties, parades, and cookouts while heightening crime prevention awareness and enhancing community relations. National Night Out is an annual community-building campaign that promotes police-community partnerships and neighborhood camaraderie to make our neighborhoods safer and better places to live. The event takes place in the evening hours on the first Tuesday of August. Anyone interested in obtaining more information about the “National Night Out” campaign or learning how their neighborhood can become involved is encouraged to contact Lt. Plaga at 517-853-4800.